Wells Fargo has sponsored the Solar Decathlon since 2011 and was a sustaining sponsor of Solar Decathlon 2013. The company has a long history of supporting environmental causes—including investments in more than 300 solar projects and 47 wind projects that generate enough clean, renewable energy to power hundreds of thousands of American homes each year. In 2014, Wells Fargo, a community-based financial services company, launched the Wells Fargo Innovation Incubator, a $10-million environmental grant program for clean technology startups that is co-administered by the National Renewable Energy Laboratory. A leader in reducing its own greenhouse gas emissions and operating sustainably, Wells Fargo has been recognized by the U.S. Environmental Protection Agency’s Center for Corporate Climate Leadership, the Carbon Disclosure Project, and the U.S. Green Building Council. 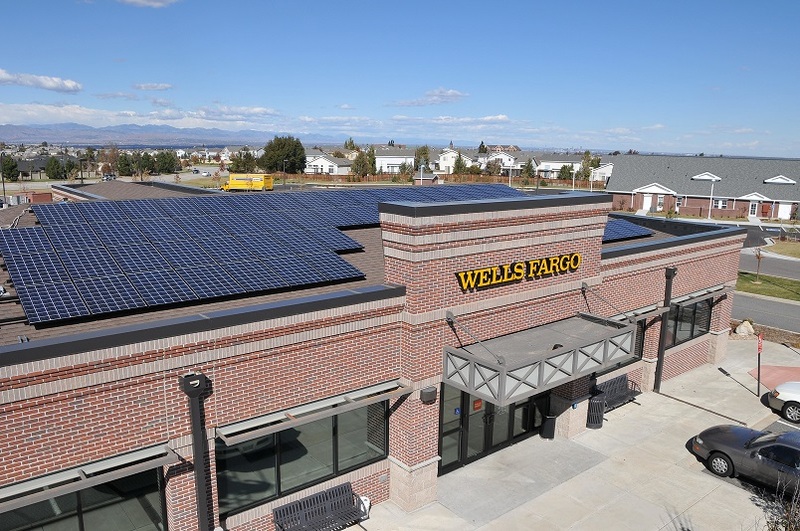 Since 2005, Wells Fargo has provided more than $28 billion in environmental finance, supporting sustainable buildings and renewable energy projects nationwide. Sustaining sponsors are the highest-level sponsors of the U.S. Department of Energy Solar Decathlon. Sponsorships are based on a list of needs determined by event organizers. If your company is interested in becoming a Solar Decathlon sponsor at any level, please contact Richard King at richard.king@ee.doe.gov or visit our sponsor pages. This entry was posted on Wednesday, January 28th, 2015 at 2:14 pm and is filed under Solar Decathlon, Solar Decathlon 2015, Sponsors.